Technology has been rapidly rising throughout the recent years however, for the waste management sector there has been a slow uptake on technology and its potential uses within waste management. This is set to chance in the upcoming future, as leading figures within the industry are developing various technologies, methods and apps to revolutionise the waste management world and welcome it to the digital age. There are two major issues that we’re dealing with across the globe: waste and fuel. Landfills cannot sustain us forever, and the worry about greenhouse gasses has pushed the need for solutions to both problems. 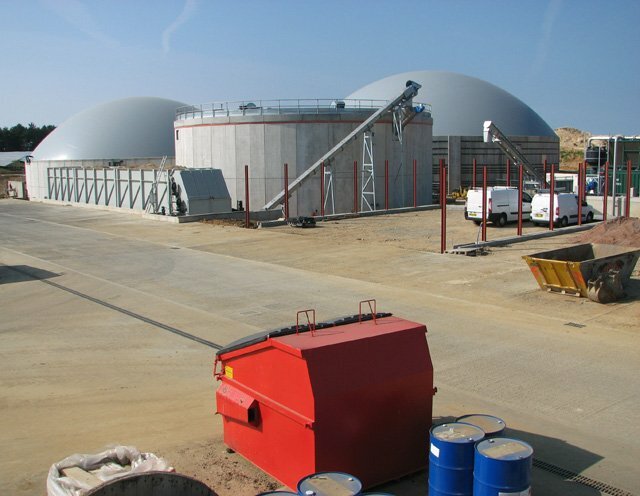 With anaerobic digestion, we may have found one answer for both questions. The process sees that waste matter being broken down by microorganisms in an oxygen-lee environment. The remains left over can be used as fertilizer, and the gas it produces is used for energy. The process is an improvement upon previous methods used to create compost from organic waste. In fact, Waste Management World touts the process as being potentially the best technology developed by the waste management sector in recent years. The process has the potential to deal with organic waste and providing gas-based energy at the same time. Plus, as humans will always create organic waste, the energy anaerobic digestion creates is classed as renewable energy. The downside is that the technology isn’t cheap to run – in order for anaerobic digestion to work on a commercial scale, large tanks and process vessels are required to be invested in. This process is similar to anaerobic digestions as reported by The Guardian, It uses enzymes to convert cooking oil into biodiesel. Novozymes has launched Eversa, an enzymatic solution available for commercial use. The process can turn lower grade oils into biodiesel, which in turn, lowers the cost of raw materials for biodiesel producers. As well as converting used cooking oil into raw material, Eversa neutralizes the requirement of sodium methoxide, which is one of the most hazardous chemicals used in biodiesel plants. Removing such hazardous substances is a benefit to both human and environmental safety. Greener Ideal reported on the growing use of automated waste collection, which has been supporting waste management, pollution and traffic issues. Essentially, the process would see an underground network of tubes linking homes and designated outlets to a waste collection centre. People would have a bin for general waste, organic waste, and paper waste, and would sort their rubbish and recycling as is standard today. When the bins reach a certain limit, the bottom would open to “flush” the waste out through vacuum tubes. No more putting the bins out! This system, is already being used at Disney World already, as well as parts of Europe. There are plans to make it more mainstream but it has been held up at points by concerns over larger items of waste not being able to go into the automated waste collection outlets. With the rise of the app culture, waste management companies have begun to develop new apps to help businesses and residents address their waste in a more efficient, environmentally friendly manner. This app allows people to buy food that restaurants are going to throw away at the end of the working day. The app is currently active in eight European countries and plans to expand further. Too Good to Go, is connected with over 5,000 stores, 3 million users, and is claiming to have saved 2.5 million meals’ worth of surplus food. The app is currently available on Apple App Stores and Google Play. The UK’s leading provider of outsourced waste management and recycling services, Reconomy have developed SiteBuddy. This allows businesses to hire, off-hire, exchange, or reorder a range of skips, from wait and load skip hire to hazardous waste skips. Furthermore, the app also allows users to respond to any on-site issues or project developments quickly and efficiently – with any delays from phone alls or waiting to book an order. It works alongside Reconomy’s online portal too, which will store a full audit trail. Coca-Cola European Partners (CCEP) is making a new strategic investment to purchase from Loop Industries a supply of 100% recycled PET (rPET) plastic to accelerate the increased use of recycled materials in the creation of its bottles. A new research report published today by Eunomia Research & Consulting Ltd outlines policy options for Member States to move the carpet industry towards a circular economy.